How to normalise miracles in your life: Throughout the ages, miracles have been seen as super natural or extraordinary feats that only prophets or wise people can tap into. This has been a reflection of the extreme powerlessness that humanity has been experiencing over the eons of time. As we enter into an age of awakening, enormous transformation and transition; each and everyone of us can access miracle experiences right now. Does your life lack that spark, spontaneity and wonderment? Do you feel like you are living in a predictable routine? Are you sensing stuckness, confusion or overwhelm? Would you love to experience more of your full potential as a great divine being having a human experience? If you’ve answered yes to any of the above questions then this podcast is for you. Your facilitators for today’s journey are …. Join Nick Good and Nicolas Perrin as you go into the depths and intricacies of how you can welcome in miracles into your life. Nick Good, author of Amazing Grace and founder of Super Hero Training. He is a student & teacher of healing for 30 years. In 1984 Nick began a massage therapist to world class athletes and was able to heal the most serious injuries with only his hands. 30 years later an advanced understanding of metaphysics underpins his appreciation of the fact that miracles are a natural consequence of reorienting ones inner world into a deeper connection with life. Nicolas Perrin is an intuitive coach, inspirational speaker and facilitator that supports heart centred entrepreneurs, difference makers, visionaries & corporate refugees to get in touch with their purpose focused service, create a magnetic vision and transform resistance so to embody the greatness that lies within the energetic blue print of each individual. Nicolas believes that when an individual is aligned to their soul that true impact can be offered & experienced in the world. // How Nick Good supported a lady who had experienced chronic pain for 40 years to be pain free from 1 encounter. // Why is it that so few people are able to facilitate them? // How can you tap into your miracle nature? This Podcast explores the depths of the human condition. 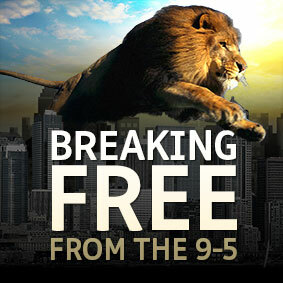 Get in touch with how you can free yourself from the bondages & pains of the human condition. Access a whole wealth of free resources please go to www.nickgoodpd.com If you resonate with Nick, you can arrange to have a private consultation with him which you can access on his website. Receive a free product called Potential actualiser, go to www.lionheartcoaching.com.au and enter in your details to receive this free gift. Wishing you all the best day ever. Tap into your heart, tap into your inspiration and know that all you have to do is intend on accessing your full soulful potential for your life to shift in ways that your mind could never imagine. Say yes to your hero’s journey and live a life of mystery, curiosity, fun and ultimate fulfilment. Nicolas Perrin is an Intuitive Transformational Coach and Inspirational Speaker who supports entrepreneurs, difference makers and corporate refugees to access the wisdom of their heart to find their message and true calling in life. Nicolas supports his clients through holding themselves back, playing small, feeling limited, confused and finding it challenging to clearly and powerfully share their message & business calling with the world. 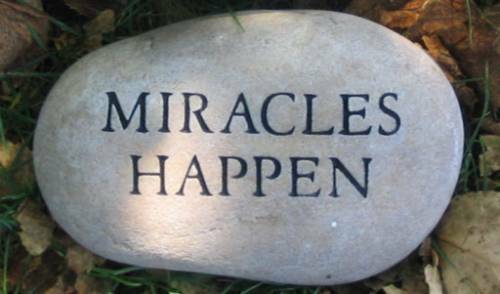 I’d love to learn from you in the comments below in what you have experienced in receiving miracles in your life? What insights, experiences and wisdom can you share in relationship allowing miracles to be a natural part of your life?